In 'The Theory of Moral Sentiments," published in 1759, Adam Smith boldly recast the question of virtue in terms of what we now call empathy (but which he called sympathy). Smith argued that we are good to each other because empathy allows us to imagine both the pleasure and the suffering experienced by our fellow beings. Even when alone, he suggested, our morality comes from adopting the perspective of an imagined "impartial spectator." 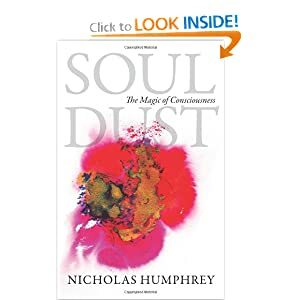 This notion-which caused consternation among conventional Christians because it meant that we were virtuous because of how we felt rather than because of religious inspiration or authority-came to mind as I was reading an eloquent new book called "Soul Dust," by my friend the psychologist and philosopher Nick Humphrey. To explain consciousness, Mr. Humphrey also invokes a sort of impartial spectator. In doing so, he rescues an idea that has long been thought a simple fallacy: the notion of perception as a sort of movie playing inside our heads, in the so-called Cartesian theater. As critics have asked, who or what, exactly, is supposed to be watching this long-running flick? 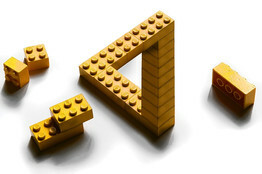 The impossible Penrose triangle in a photo illustration. Mr. Humphrey's intriguing conclusion is that your mind does indeed stage "a theatrical show in order to influence the judgment of another part of your brain." Optical illusions such as the Penrose triangle (see the picture above) demonstrate that you do "create" an imagined reality out of the raw material of vision, what Mr. Humphrey calls a "magical mystery show that you lay on for yourself," yourself being the rest of the brain. The genius of "Soul Dust" is to attempt an explanation of both how this is done and why it evolved. Mr. Humphrey's suggestion is that animals first acquired an ability to sense the world and to respond to sensations: When they felt pain (or pleasure), they withdrew (or extended) the affected body part. They then acquired the neural capability to monitor their own responses and, gradually, to produce a virtual internal representation of that response. Now there was an event in the brain called "paining," parallel to the real sensation of pain, or "redding," experienced when looking at a red tomato. So consciousness, Mr. Humphrey believes, comes from our way of mentally re-enacting what happens at our body's surface. Based on rhythmic patterns of activity in our neurons, he even tries to explain what the physical manifestation of this phenomenon might resemble in the brain. Nonetheless, he admits that because we don't know exactly what we are looking for, we may still fail to recognize the particular electrical patterns that signify a conscious thought, even if they are right in front of our brain scanners. But why this show? What is the point of being conscious? Mr. Humphrey made his name many years ago with a famous essay on the evolutionary function of intelligence, arguing that it emerged through natural selection not to solve physical puzzles, as many assume, but to solve social ones-to read minds. Here he attempts a similar explanation for why the impartial spectator of consciousness is watching a magical mystery show. His answer sounds startlingly unscientific, even spiritual: to impress the soul. What he means is that being enchanted by the magic of experience provides a reason to live. Rather than being an aid to survival, consciousness provides an essential incentive to survive. Enchantment is itself "the biological advantage of being awestruck." Or, as the poet and Pooh creator A.A. Milne put it, "It's awful fun to be born at all." I am not fully persuaded by this last part of the argument-I prefer to think that the evolutionary advantage of consciousness has to do with the benefits of imagining and influencing future events-but it's exhilarating to see this crucial question about our existence answered with such intellectual breadth. Scientists are often accused these days of overlooking the awe and wonder of the world, so it's exciting when a philosopher puts that magic at the very heart of a scientific hypothesis.